I was doing a coaching session last year with Angela. Angela is a personal trainer in her 50s with a college-age daughter. Though she has had Hashimoto’s and has been hypothyroid for 15 years, Angela is slim and fit. Angela’s challenge, however, was that she constantly felt exhausted, achy, and brain fogged, and she had thyroid peroxidase (TPO) antibody levels in the 300s. Around the same time, I also spoke with Kelly. She's in her early 30s, works full-time for an accounting firm, and is a busy wife and mother of two. Kelly became hypothyroid after radioactive iodine (RAI) treatment for Graves’ disease five years ago. Since that time, she gained 40 pounds. Despite what is considered “optimal” thyroid treatment, Kelly was still struggling to lose weight. Both Angela and Kelly had the same question, one that many thyroid patients have: Could changing my diet help, and if so, what diet should I follow? If like Kelly and Angela, you are facing high antibodies, weight-loss challenges, or unresolved symptoms like fatigue, there is a good chance that changes to your diet could help resolve your thyroid-related symptoms. But the first step is for you to identify your objective. There is a link between gluten sensitivity, gluten intolerance (celiac disease), and autoimmune thyroid disease. In fact, research shows that for a subset of people with celiac disease or gluten sensitivity, going gluten-free can lower — or even eliminate — thyroid antibodies, and help patients achieve remission. 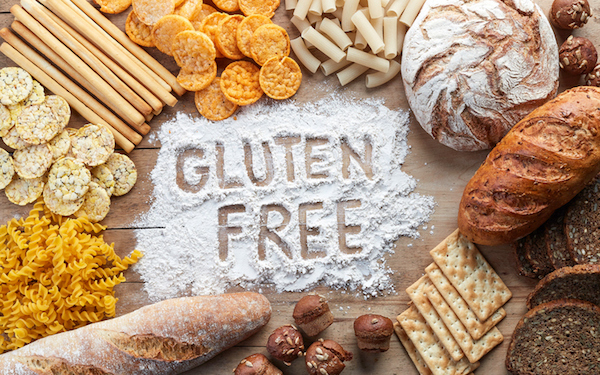 Following a gluten-free diet means eliminating pasta, bread, crackers, seasonings, and spice mixes that contain gluten — namely wheat — including durum, spelt, farina, and faro. Other grains to cut out include barley, rye, bulgur, seitan, and triticale. Oats are often avoided, not because they contain gluten, but because they are usually processed along with gluten-containing grains and become contaminated. Gluten is also frequently found in broths, malts and vinegars, soy sauce, some salad dressings, some processed foods like veggie burgers, and many commercially packaged seasonings and spice mixes. If you have celiac disease, you need to eat a strict gluten-free diet for life. But even if you don’t have celiac disease, eating gluten-free is not a short-term “diet.” Rather, to obtain and maintain the benefits, you need to make the gluten-free diet a way of life. Note: Before starting a gluten-free diet, it's recommended that you have your antibody levels — whether TPO for Hashimoto's or thyroid stimulating immunoglobulins (TSI) for Graves' disease — tested. You should then be retested about three months later to evaluate the impact of going gluten-free on your antibody levels. The Paleo diet focuses on eating the same foods our hunter-gatherer ancestors ate before the agricultural revolution. The general idea of the Paleo diet is that if a caveman didn’t eat it, you shouldn’t eat it either. This means eating healthy proteins like lean, grass-fed meat, poultry, and seafood, fresh fruits and vegetables, eggs, seeds and nuts, and healthy oils like olive, walnut, avocado, or coconut. You should cut out sugar, dairy, grains, beans and legumes, alcohol, and starches, including starchy vegetables. Processed foods and junk food are totally prohibited. The Paleo diet is not considered a “treatment diet,” but rather a “lifestyle diet” in that the benefits accrue from continuing to follow the Paleo way of eating over time. The autoimmune protocol (AIP) diet focuses on healing the immune system and reducing inflammation and intestinal permeability (also known as "leaky gut"), with the goal of reducing autoimmune antibodies and achieving remission of an autoimmune disease. Inflammation in the gut is known to be a contributing factor in the development of antibodies and worsening of autoimmune diseases, including Hashimoto's and Graves' diseases. The AIP diet is a more restrictive version of the Paleo diet. It has you eliminate all nuts and seeds, all beans and legumes, all grains, all dairy, alcohol, sugar and artificial sweeteners, most fruit, eggs, vegetable oils, seed-based herbs (such as dill, mustard, cumin, etc.) nightshade vegetables (i.e., tomatoes, potatoes, peppers, eggplant, and chili peppers). You can eat a variety of foods, including meats, fish, shellfish, vegetables, probiotic-rich and fermented foods, some spices, good fats, and bone broth. The AIP diet requires at least a two-month commitment, and after that time, every few days, you can reintroduce a small amount of a food. After reintroducing a food, wait up to three days to gauge any reactivity or response — usually joint aches, fatigue, brain fog, gloating, gas, constipation, or stomach pain. Some people find they need to remain on the more restrictive version of the diet to best control antibodies and inflammation. Because gut imbalances are often present, many practitioners recommend that you also follow protocols to heal the gut, replace bacteria, and support the immune system, to help reduce inflammation and antibodies. Note: Before starting the Paleo and AIP Diets, experts recommended that you have your TPO or TSI levels tested. Get retested about three months later to evaluate the effectiveness of your dietary changes as far as your antibody levels. A low-carb diet focuses on limiting your daily carbohydrate intake. 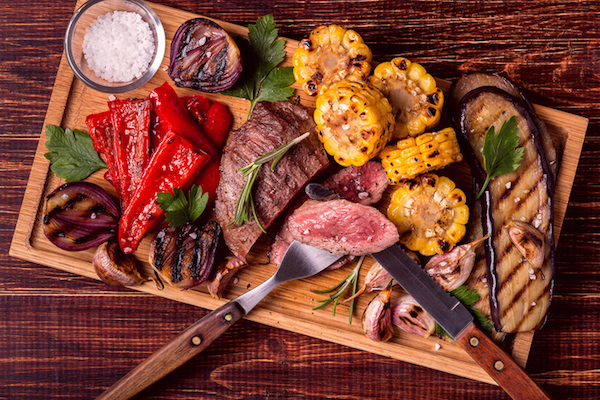 When you are eating low-carbohydrate, you typically don't focus on calorie count, but instead, you eat meat, fish, eggs, green (non-starchy) vegetables, healthy fats (like butter, avocados, and coconut oil) until you are full. Foods to avoid include sugar, starches (like pasta and bread), beans, potatoes, and starchy vegetables like potatoes. Some familiar, commercial, low-carb and carbohydrate-controlled diets include the Atkins Diet and the South Beach Diet. There is some scientific evidence that low-carbohydrate diets help you achieve faster weight loss than calorie-restriction or low-fat diets. More recently, a more intensive low-carbohydrate diet known as the ketogenic diet has been advocated by some proponents. The ketogenic diet is a very low-carb, moderate protein, and higher fat diet. The goal is to reduce intake of carbohydrates so significantly (often to 20 grams or less per day) that your body goes into ketosis, a state when the body produces ketones for energy, and burns fat more effectively. The ketogenic diet has been shown to significantly reduce body weight, as well as triglycerides and glucose levels, and balance cholesterol levels. The 5:2 diet, also known as the Fast Diet, where you eat normally five days a week, and the other two days, you restrict calories to 500 to 600 per day. 3:2 diet, where you eat normally for three days, and restrict calories for two days, followed by three days of eating, and so on. There is research evidence that intermittent fasting can help achieve weight loss, while improving other health parameters, including lowering cholesterol and blood sugar levels. 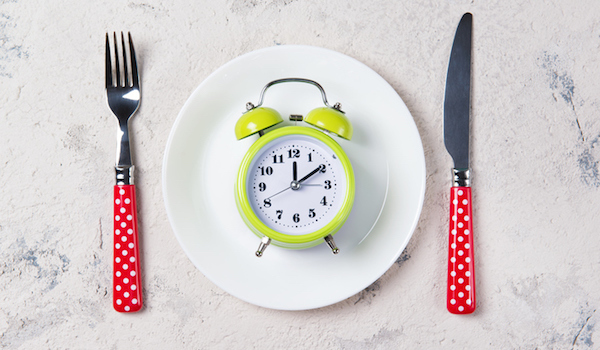 A variation on intermittent fasting is called time-restricted eating, or TRE. Researchers are finding that limiting the hours during the day when you eat can help achieve weight loss and improved health. Typically, eating is confined to a six- to 12-hour period during the day, ideally earlier in the day, and food consumption is cut off in the afternoon or early evening. In addition to weight loss, TRE has been shown to help insulin sensitivity and other health markers. One of my favorite ways of eating, and one that I featured in my book, “Thyroid Diet Revolution,” is the plan developed by cardiologist Dr. Ron Rosedale. His low-glycemic, carbohydrate-controlled Rosedale Diet is a combination of the best aspects of many effective diets. His approach is designed to reverse heart disease, type 2 diabetes, and help with weight loss — and has added benefits of reducing inflammation and autoimmunity in some patients — with a healthy, non-commercial approach to eating. 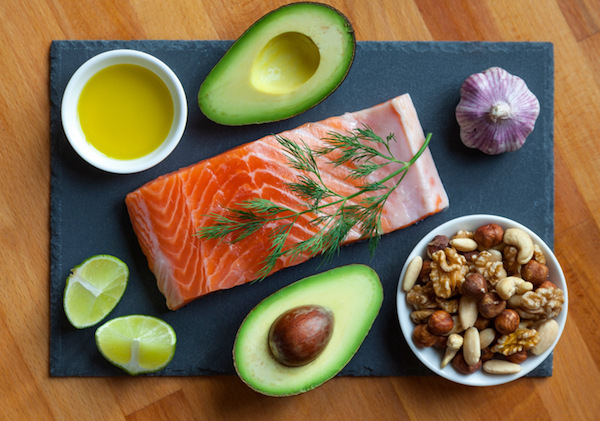 Dr. Rosedale's plan focuses on healthy fats such as nuts, avocados, and olives, as well as seafood, some lean meats, and wild game meats. Later, more foods are introduced, but dairy, sugar, and grains are limited. You can review a summary of the Rosedale Diet’s general guidelines at his site, or for more details, his “Rosedale Diet” book is quite helpful. You may be wondering what happened with Angela and Kelly. In Angela’s case, we worked together to help her put together a plan to follow the AIP diet. Angela followed a rigorous AIP plan for three months, while also consulting a holistic nutritionist, who added probiotic supplements and fermented foods, and other supplements to help reduce inflammation. When I checked back in four months later, Angela had successfully reintroduced fruit, but said that when she reintroduced gluten, her joint pain and fatigue returned, so she decided to remain gluten-free. In just a few months, Angela reduced her antibodies down from a high of 382 to 50, a level almost within the reference range. She also reported that her fatigue, brain fog, and muscle and joint pain were barely noticeable most days. In Kelly’s case, she combined the Rosedale Diet, along with time-restricted eating. She followed the Rosedale guidelines, keeping her food consumption to a 10- to 12-hour window between 8 a.m. and dinner time, and never eating or snacking after 8 p.m. Kelly had slow and steady weight loss of one to two pounds per week, and when we talked two months after she changed her diet, she had already lost 12 pounds and one dress size, improved her cholesterol and blood sugar levels, and felt far more energetic.